Tonight is the night we celebrate the New Year! 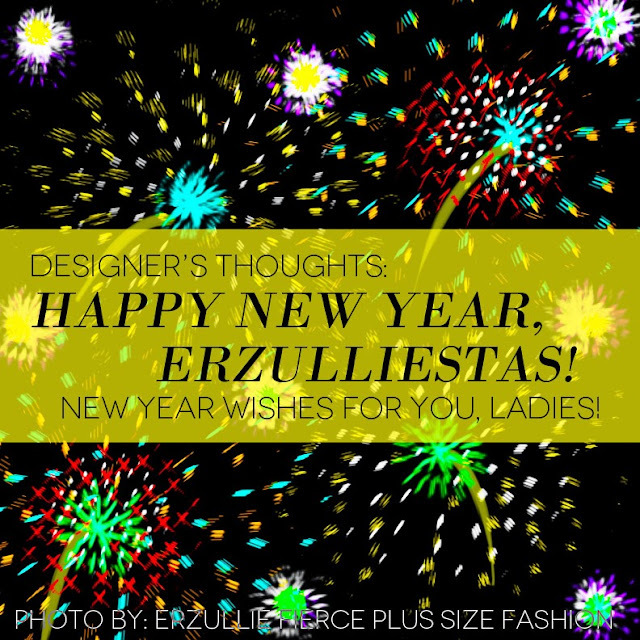 And no matter how you ladies choose to celebrate it, here is our 2014 wishes for all of you! Good vibes all around! We hope that all of you ladies find fulfilling and advancing careers that gives your life purpose, rejuvenation and exhilaration! Love is for everyone! So we hope that this year you find love, whether for yourself or with others. Because an Erzulliesta gets her bills paid on time (even advanced if she wanted), may you ladies have more money to keep on living like the fierce plus size woman that you are! A 1,000 casual acquaintances is nothing vs. 1 true friend --- agree? May you ladies find more meaningful relationships this year and be able to keep them ‘til the next. The battle always start from within. May you have a stronger mental attitude towards positive thinking --- it’s the only way to live, get what you want and have fun while doing it.